In what could be the most intriguing clash of the fourth-round in the women's singles draw, Angelique Kerber will battle Belinda Bencic for a place in the quarterfinals. 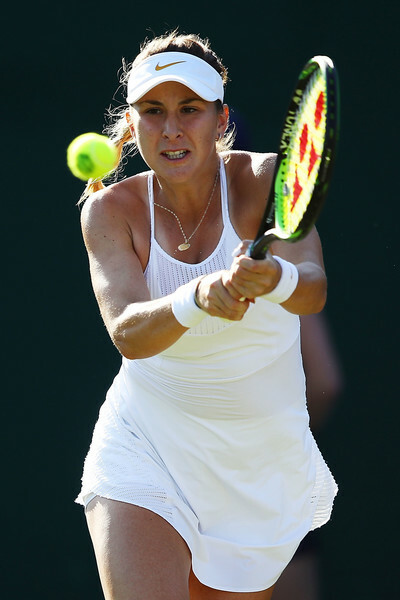 Two in-form players will meet for a thrilling battle on Manic Monday at the 2018 Wimbledon Championships after 11th seed Angelique Kerber set up a blockbuster clash with the resurgent former top-10 player Belinda Bencic in the fourth round for a place in the quarterfinals. It will be the Swiss’ first-ever appearance in the last eight while the German is fighting to reach her fourth quarterfinal at the All England Lawn Tennis and Croquet Club. 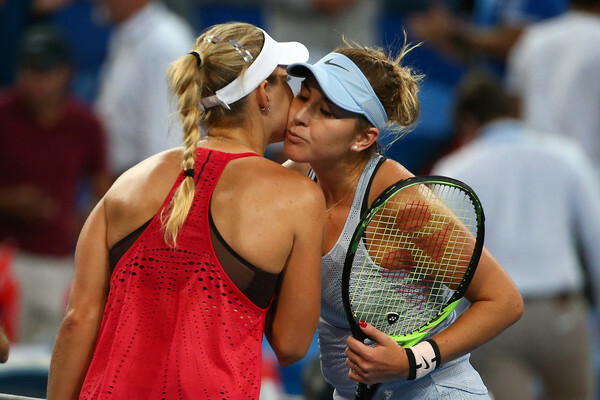 Having stormed through their respective tricky sections of the draw, Kerber and Bencic will meet for the fourth time in professional competitions. 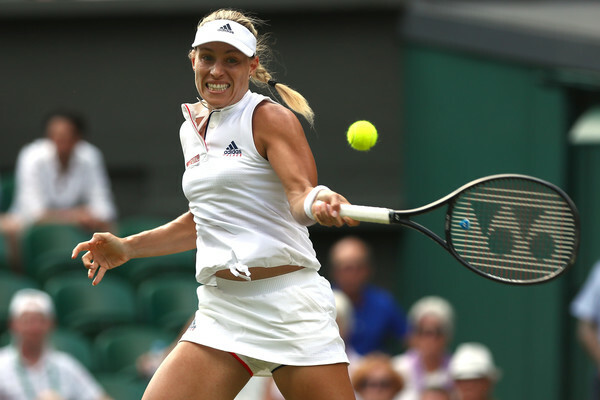 As the highest seed remaining in the top half of the draw, Kerber will be the favourite to progress to her second Wimbledon final though she will first have to get past the dangerous Swiss, who she had not beaten in the past. Kerber had to endure through tricky opening rounds to get to the second week as she was drawn to face former world number two and qualifier Vera Zvonareva in the first round. The German faced some troubles but bounced back to oust the Russian in straight sets with a 7-5, 6-3 scoreline. Unexpectedly, Kerber was struggling against another qualifier in the second round, this time coming against Claire Liu. She trailed by a set but fortunately found her game in time to avoid the disappointing loss. Her serve looked shaky but produced four consecutive unreturnable serves to close out the match. Arguably, her most impressive performance of the week came when it mattered. Up against the dangerous and explosive Naomi Osaka on Centre Court, Kerber stunningly blasted 23 winners to just five unforced errors throughout the encounter, blowing the Japanese off the court after just 63 minutes of play. It was an extremely clean performance from the former world number one, who seemed flawless to grab the confident 6-2, 6-4 win. 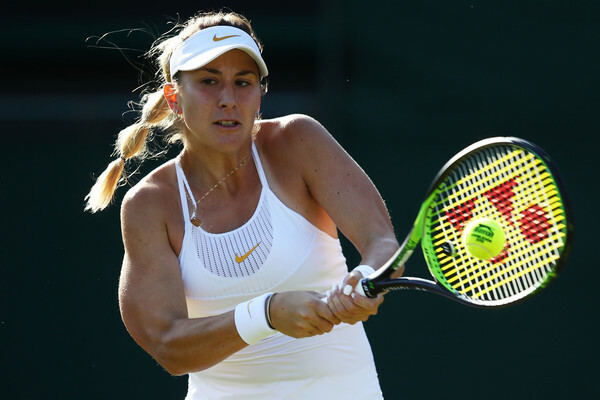 Bencic opened her Wimbledon campaign on a high note — defeating world number six Caroline Garcia in the opening round having won 79 percent of her first serves. The Swiss had some clean numbers from the match, hitting 17 winners to just 15 unforced errors before claiming the impressive win in straight sets. Her second round was surprisingly more tricky than the first, this time going up against grass-court lover Alison Riske. Bencic suffered a huge scare and ultimately rebounded from a set and a break down, saving four match points to defeat the American with a 1-6, 7-6 (10), 6-2 scoreline. She ended the encounter blasting 35 winners to just 16 errors. In the third round, Bencic matched her best performance at Wimbledon with a fantastic victory over 27th seed Carla Suarez Navarro. The Swiss was the more aggressive player and retrieved from a break down in the second set to seal a straight-sets triumph, setting up this anticipated meeting with Kerber. Bencic owns an excellent 3-0 head-to-head record against the two-time Major champion, going undefeated in their past meetings. Their first meeting came at the 2014 US Open where the Swiss rose to fame with the top-10 win against the German to reach the second week. The former teenage sensation once again upset Kerber, this time coming in the opening round of the 2015 Western and Southern Open before leading Switzerland to a 3-2 win over Germany in the 2016 Fed Cup with a terrific win over the newly-reigned Australian Open champion Kerber. However, the German finally earned her first win over Bencic, though not in a professional competition, at the Hopman Cup during the opening week of this year. 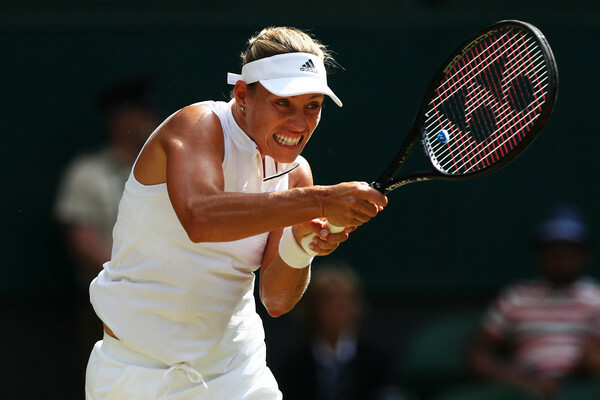 Kerber triumphed with a straightforward 6-4, 6-1 scoreline and this should give her the confidence on Monday. Can Bencic claim another top scalp? Will Kerber earn her first win over the Swiss? This will be an interesting battle considering that both players are currently in their best form. Kerber showed glimpses of her vintage tennis which sent her into the final two years back while Bencic is slowly returning to the form which pushed her into the top-10 in the same year. Kerber’s counterpunching tennis, surprisingly, works exceptionally well on this fast-paced surface as she is able to easily redirect the pace, but yet also constantly stay aggressive with her powerful forehands. The power and angles of her forehands will certainly trouble Bencic but she needs to protect her second serves better, especially against a certified returner like the Swiss. Bencic’s advantage on this surface is her power. She has beaten players who are comfortable on this surface like Magdalena Rybarikova, Madison Keys, Agnieszka Radwanska and Johanna Konta in the past. The variety in Bencic’s game will also help to mix up her opponent’s rhythm and prevent her game from being too one-dimensional. Kerber needs to ensure that she maintains a certain level of aggression and cannot afford to be passive while Bencic has to control the rallies by dictating them, while also maintaining her consistency. Nonetheless, the German will be the slight favourite in this encounter and will look to earn her first professional win against the Swiss. However, do not be surprised if Bencic could pull off the stunner and move onto her first quarterfinal appearance at Wimbledon, though. Meanwhile, Kerber could well be the favourite to reach the final if she triumphs in this encounter.